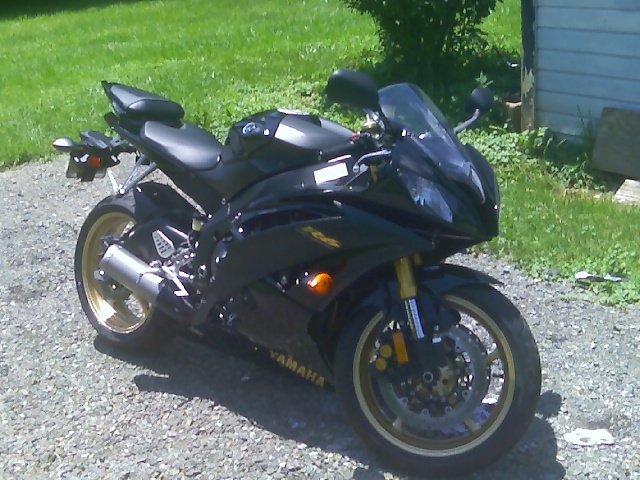 Description It is black R6 with gold wheels/rims. It has a tinted windscreen with a skeleton on it. It has green led lights under the seat, in the engine, and under the bike. Also it has angel eyes in the front which are clearly visible.